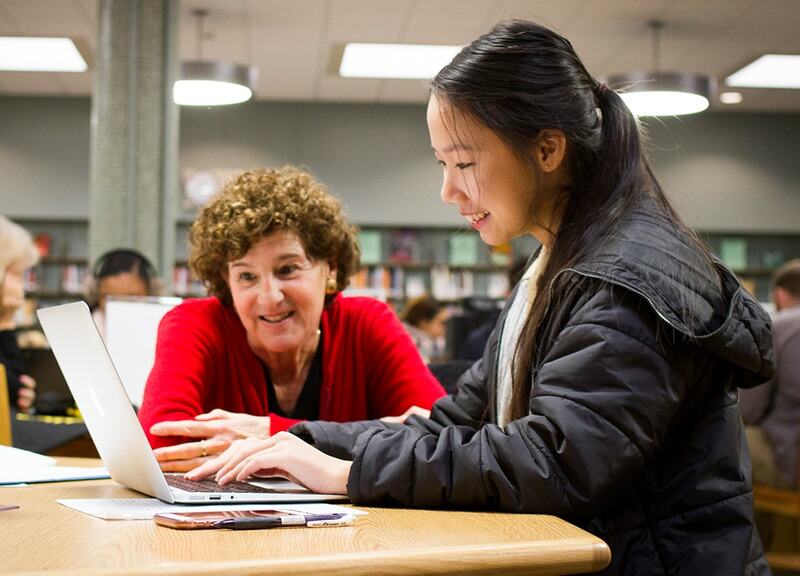 Every day, we lead teams of volunteer tutors into schools around San Francisco to provide individualized attention to students and help teachers do their difficult jobs with more support. Our In-School projects dramatically lower the student-to-teacher ratio, from the district average of 30:1 to 2:1. 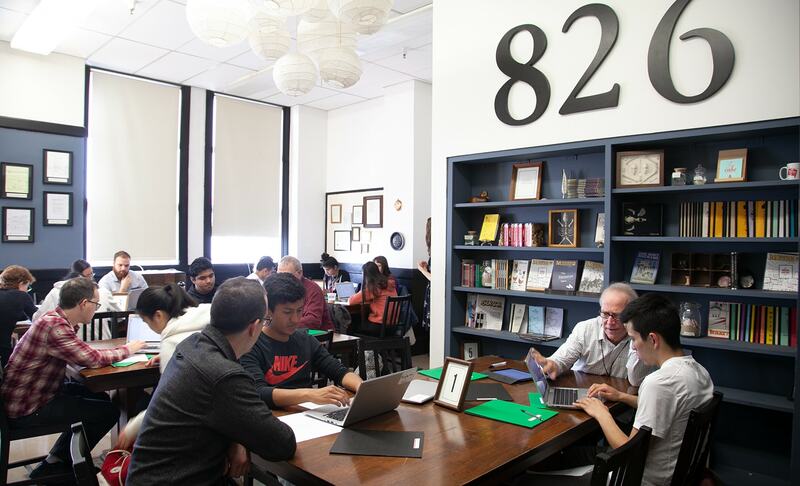 Whether through special publishing projects, argumentative essays, or anything in between, 826 Valencia is here to help infuse the school day with creativity and a whole lot of help. Our In-School project model is responsive to teachers’ needs. Teachers reach out to us to request support with a particular writing project, and we bring the tutors to make it happen! For our longer-term publishing projects, 826 staff (many of whom are certified teachers themselves) collaborate with teachers to create an aligned curriculum. Our three Writers’ Rooms are core to our In-School model. In these special, 826-ified spaces, we work with half a class at a time. This allows for more targeted instruction, both in the Writers’ Room and in the classroom. Our Writers’ Rooms produce special publishing projects, provide extra support with school assignments, and more — in an environment that’s not your typical classroom. Our first Writers’ Room (est. 2003!) is home to The Straight-Up News, the school’s newspaper published by 826. We also support students with essays, poetry, and more, including working with the school’s large English Learner and newcomer track. In this Writers’ Room, students research and write articles for Mission Magazine, in addition to getting support with personal statements and more. The Mission High Writers’ Room also holds drop-in hours on Tuesday and Thursday afternoons from 1:50 to 3:50 p.m. This former locker room houses our after-school program at BVHM, in addition to supporting the middle school grades during the school day. Designed like a merchant marine vessel, the space allows us to serve students consistently over time, from third grade all the way through eighth grade. We provide other In-School Projects in San Francisco including Tenderloin In-Schools, The Young Authors’ Book Project, and support to various school sites. We bring tutor support to classrooms in schools around our Tenderloin Center, including Bessie Carmichael Elementary and Tenderloin Community School. Every spring, we collaborate with a different high school to produce our biggest publishing project of the year: the Young Authors’ Book Project. This ten-week project pairs students one-on-one with a consistent tutor throughout the writing process, and a student editorial board edits the book. Check out the gorgeous books in this series! We have limited capacity to support schools outside our Writers’ Rooms with special projects. Our services support under-resourced students in SFUSD, and all of our services are completely free. 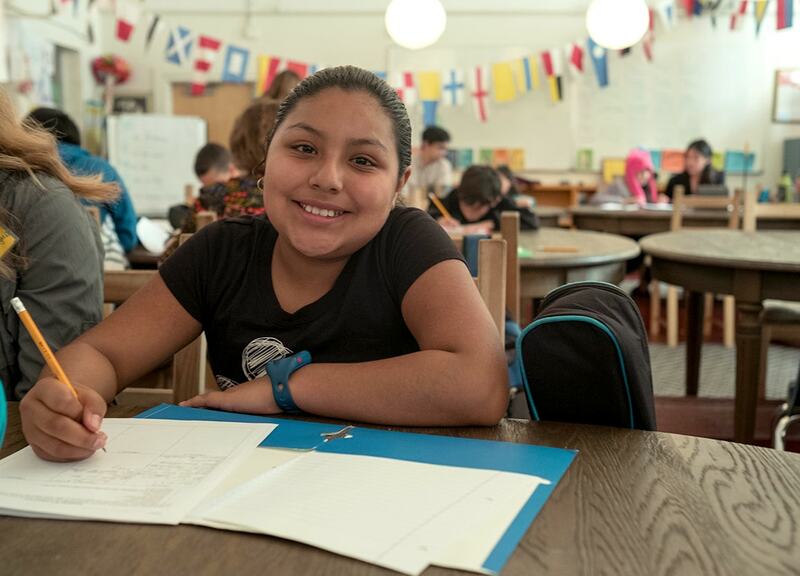 If you think your school or classroom might be a fit and you have a writing project in mind, reach out to Programs Manager Ryan Young at ryan@826valencia.org to learn more.